Miss The Clone Wars? Well, don’t fret: “the force” is creating a new animated series to ease the pain. Lucasfilm announced Monday it was launching a new animated series called Star Wars: Rebels, which will have a one-hour launch special on the Disney Channel in the fall 2014 and then move to Disney XD as a regular half-hour series. Rebels is a follow up to Clone Wars, which was canceled earlier this year after five seasons. The announcement came shortly after The Walt Disney Co. purchased Lucasfilm, which produced Clone Wars for Turner Broadcasting-owned Cartoon Network, who aired the series finale in March. Screenwriter/producer Simon Kinberg, who was behind the theatricals X-Men: First Class and Mr. & Ms. Smith, has been named executive producer of the project and write the series’ first episode. Joining him in the exec producer role is Clone Wars‘ supervising director Dave Fioni, and Greg Weisman. 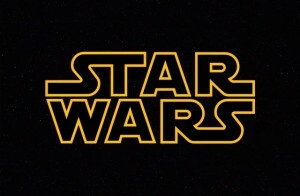 Kinberg is also penning one of the new Star Wars movies, which is scheduled to be released annually after 2015. Rebels is set in the universe between Revenge Of The Sith (III, released in 2005), and A New Hope (IV, released in 1977.) The series is about the Rebel Alliance’s plan to avoid the growing clout of the Empire, which is solidifying its grip on the galaxy. Full details of Rebels are being kept under guarded wraps. Fans of Clone Wars are hoping the new Rebels wrap up or at least continue some storylines left unresolved since the series was canceled before the writers knew of the show’s fate. Though plot points are being kept secret, its likely Rebels will start with a clean slate. The only place you can catch Clone Wars currently is in broadcast syndication via Trifecta Entertainment, where The U Too (WCIU-DT 26.2) airs it every Saturday from 3-4pm. For more info on Rebels (well, a little more info), watch the trailer below. Star Wars in Character posted an audio inevteirw with The Clone Wars voice actress Anna Graves yesterday. Anna does the voices for Satine, Meena Tills, Sugi, and several others. You can listen to the inevteirw here.